A PHOTO of a dead koala in the main street of Byron Bay has caused emotional debate on social media today. 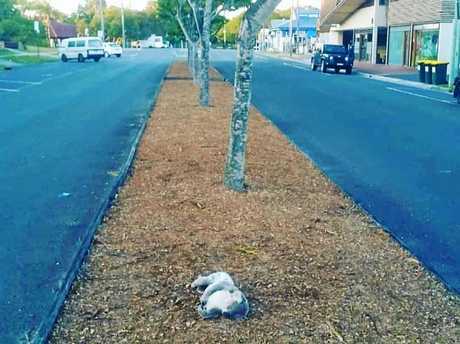 Posted by Wild Search Australia, the image shows a lifeless koala in the median strip. 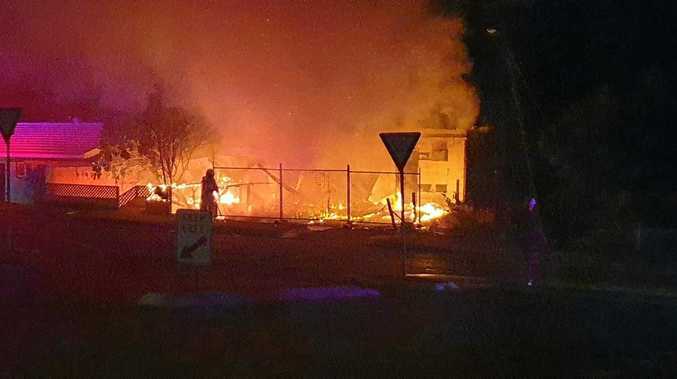 "So so angry and saddened that this happens... but that it happens in downtown Byron," the group posted on its Facebook page. "It's koala breeding season right now and koalas are on the move. A dead koala was found in the main street of Byron Bay. "They are already threatened due to habitat clearing and disease... and don't need another blow to their populations." The heartbreaking photo has been shared almost 100 times. Commenting on the post, one man said he saw a white van hit the koala. "A guy speeding in a big white box van, 5.15 this morning... didn't get the rego, he was going so fast nearly didn't make the bend. I'd know him if I saw him again," Richard Bailey wrote. Louise Beaumont wrote in response: "This is almost too much to bear. I am sickened. This little guy was young and healthy and hanging out at the primary school just days ago. Nowhere for the poor dude to go." "I'm bawling. I knew it. I knew this would happen. WIRES relocated him to the back playground but knowing how busy the surrounding streets were I was worried for his safety going forward." Other commenters urged people to slow down and take more care on our roads.